Do you have many photographs where your eye color has turned red ? If the answer is yes, then now you can use one of these best red eye remover apps. All you need to do is to download this app and edit your photo by removing the red eye and make your eyes look normal. As a result your image will start looking professional and it will also enhance your personality. You are not the only one who has this red eye problem while getting their photograph clicked. This happens may times with many people. Thanks to apps like these which behave as a best red eye remover apps and remove all the red eyes from the photograph and make it look good and professional. Visage has been one of the great apps when it comes to red eye removal. It is regarded as beauty laboratory for your face. You can perform literally each and every part improvement of your face. You can check your eyebrows, your lips, teeth and of course removal of your red eye color. There are options to add some artistic effects to make your picture look good. The best news about this app would be the pimple removal option provided by the developers. You also can improve the skin complexion and make your skin look younger. There are multiple options to correct other face features as well. Some of the could be removes wrinkles and oily glare, whitens the teeth etc. This app is available for both android and iOS users. With all the easy to use features this is definitely a great app if you are really looking for red eye removal and other facial features as well. 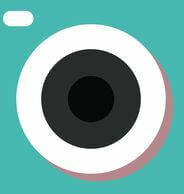 Another application that you can use for the red eye removal would be Eye Color Studio. 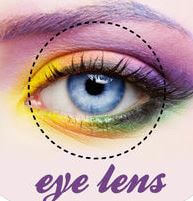 There are literally more than 100 of eye colors and different effects that you can try on your photo. At the same time you also can try removing the red color from your photograph. Once you have removed the red eye color, you can go ahead and add flame effects as well. You can have the more smokey eye effects as well. It also has got automatic red eye removal option in which it will detect the red eye and make it look like normal. You also can add other special effects that you want. Some of the effects that has been included are simple, marble, electric, specs, exotic, animal, alien. 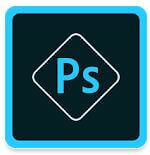 Adobe Photoshop has always been in the scene when it comes to editing images. Apart from adding special effects and other photo editing options, Adobe Photoshop has been best known for its red eye removal options. Users of this app have reported positive reviews about the red eye removal techniques of this app. Photoshop app also let you apply filters that can help in the red eye removal and hence enhancing the features on your face. After the red eye removal, you also can apply other effects on your image to make it attractive and look more professional. There are tons of photo frames, hairstyle effects and blemish removal effects as well. Adobe Photoshop is also known for its auto correct and auto fix options. Hence you can totally rely on its ability to remove the red eye automatically. Cymera has been one of the well known apps for photo editing. It is also considered as the selfie camera app. While it is primarily function is like a camera app, but it has been known for its functionality of red eye removal techniques. YOu can easily edit your image using this Cymera app. It has all the functionality that are required for the red eye removal techniques. You can remove the red eyes easily within no time. All you need to do is to open the app, select your photograph and then select the face with the red eye, replace it with pre – loaded eyes in the app. Hence, if you follow this procedure, you can have the image free from the red eye. As the name goes eye lens color changer is the app best known for its ability to change the color of eyes by changing the lens color. If you are use this app, you will get to know how easy it is to remove the red color eye from the photograph. Once you have removed the red eye from your image, you also can provide some nice and cool eye color using the options present on the app. There are many options for realistic and natural eyes color. Your image will look like a professional one if you are using this app for red eye removal. All you need to do is to click on the lens, drag that lens on your eye on the photo, set the zoom in and zoom out to make it of perfect size. Post this all you need to do is to set the opacity level so that the new lens looks natural and you are good to go.